your grandchildren's hearts and minds, so they will love and follow Him with all their heart. 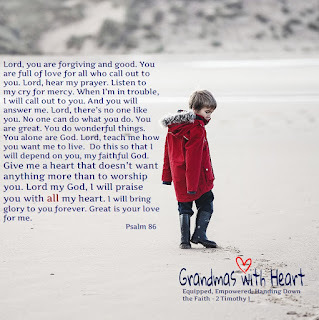 I pray this for my grandchildren and have been able to see how God answers it over and over again! 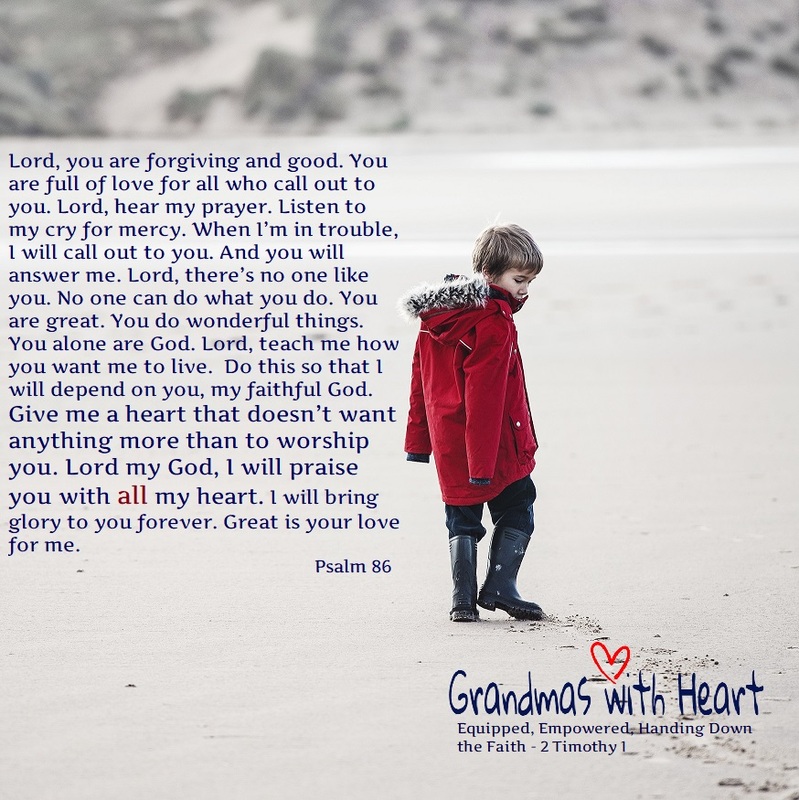 Consider making Psalm 86 your prayer for your grandchildren, too!